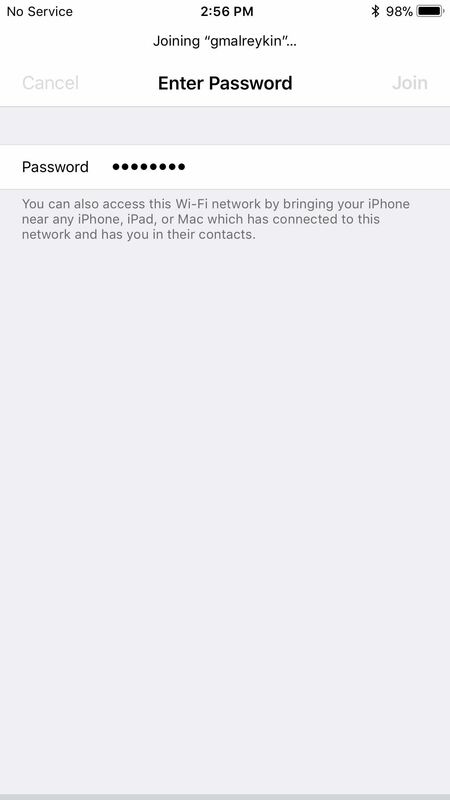 This feature, introduced by Apple in iOS 11 and persisting in iOS 12, is called "Share Your Wi-Fi," and it does exactly that. If you want to connect to a friend's Wi-Fi network but nobody at the location can remember the password, a few simple taps on someone's already connected device can instantly populate the "Enter Password" screen on your device and get you connected right away — and no one has to remember or type out any passwords. Pretty sweet, right? No more writing and typing out long, complicated passwords. No more worrying about a friend actually knowing your password. No more stupid QR codes to deal with. No more ugly NFC tags. No more not connecting. And all that's needed is either iOS 11 or iOS 12 or macOS High Sierra and later. In order for this to work, iOS 11 (or higher) or macOS High Sierra (or higher) is needed on both devices, and make sure that both devices have Wi-Fi and Bluetooth toggled on. If one device doesn't have at least either iOS 11 or macOS High Sierra, it won't work. As long as these requirements are met, it will work no matter if you have an iPad, iPhone, iPod touch, or Mac computer. In our case, we're using two iPhones as an example. On the iPhone that needs internet access, open up the Wi-Fi settings and select the network you want to connect to. This needs to be the exact same network that the other iPhone is already connected. After you've selected it, the "Enter Password" screen will show up. Now the iPhone already connected to the Wi-Fi network needs to be unlocked in order for this to work. If it's your iPhone, simply enter the passcode or use Touch ID or Face ID to unlock it. If the iPhone belongs to someone else, politely ask them to do this. If nothing happened on either iPhone right away, move the two devices closer together. They need to be in close proximity to each other in order for the unconnected iPhone to send a request to the connected device. 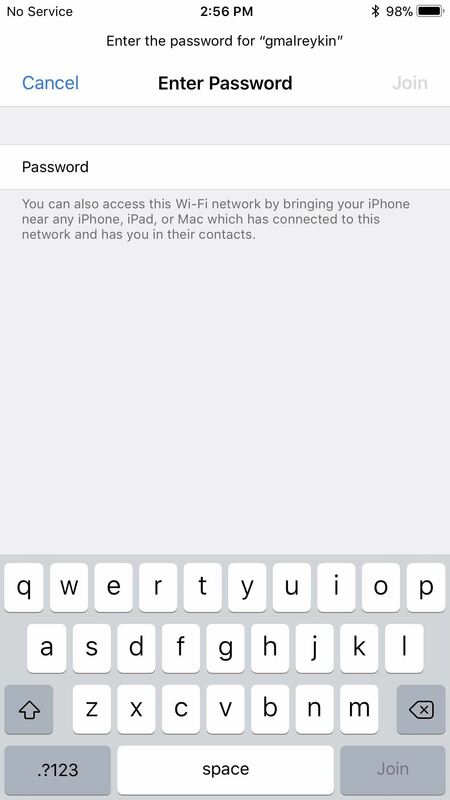 Do you want to share the Wi-Fi password for '[Network Name]' with [Contact or Device's Name]? 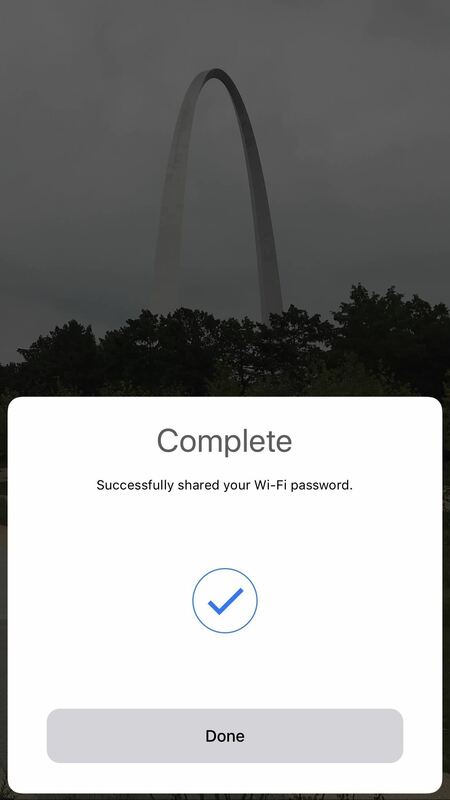 Simply tap or click the "Share Password" button to send it on over to the unconnected iPhone. 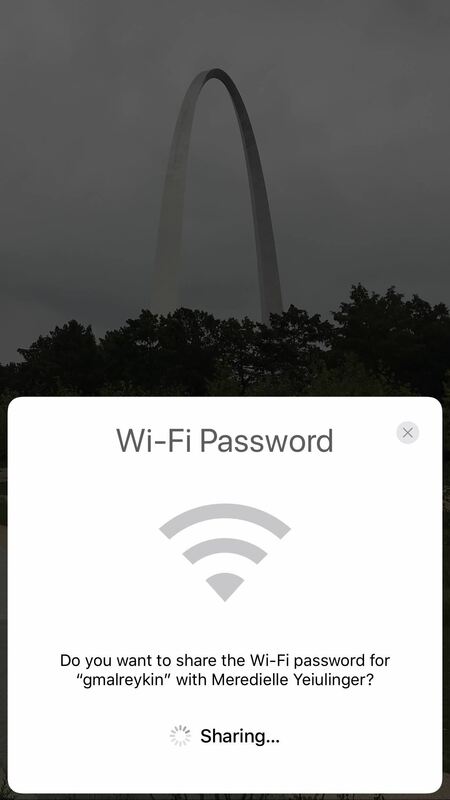 The password field on the unconnected iPhone will be filled in automatically after a brief delay and the device will instantly connect to the network. All that's left to do is pressing "Done" on the prompt that's still up on the already connected device. And that's all there is to it. Of course, it should go without saying that if you don't trust the person you're sharing a Wi-Fi password to, you should reject permission. While they won't be able to see the password on their device, if it gets stored in their Keychain, they'll be able to view it on their Mac after syncing. Also, this likely won't work for some enterprise hotspots that use a RADIUS server for authentication. Cool feature but now it's getting annoying! I was at a wedding venue where the pop up first appeared. 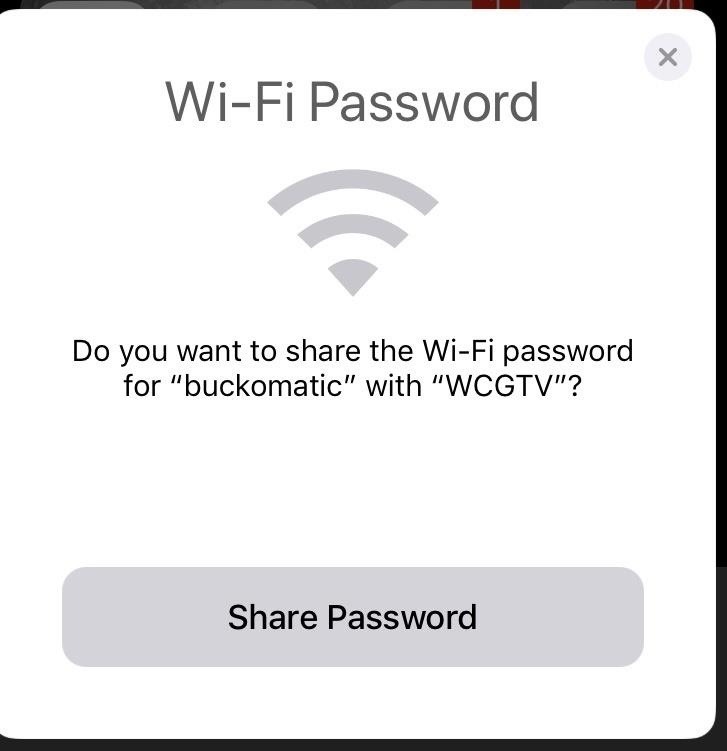 The network was called buckomatic but I had already manually entered the password in my laptop (WCGTV). The pop up showed up every time I turned on my phone. But what is really annoying is the same pop up shows up every time 3 days later when I'm far from that wifi network!. To make it worse, I REALLY could have used the feature later at the place I was staying as the people who owned the home were not there to give me the password and my phone did not offer to share the password to the home's network with my laptop. So, how do you turn this pop up off?? I don't believe there is a way to disable this feature. 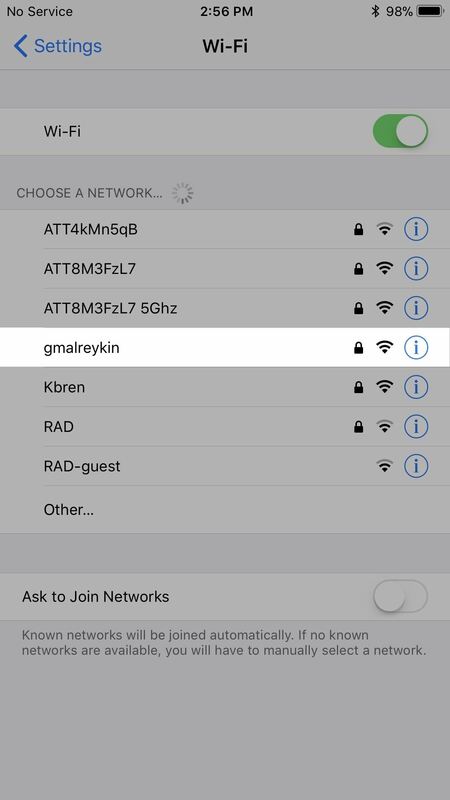 If it's your own network, you can hide the SSID of it to prevent people from even trying to select it, but that has nothing to do with your situation. Yours just appears to be acting seriously buggy. I'd make sure your iPhone and Mac are both running the latest OS version and see if that prevents the issue. You forgot to state "make sure your Bluetooth is ON". Took us awhile to figure it out knowing our Bluetooth is always off due to government equipments.